If you read my most recent skills piece on the nuances of power management for overland travel, you know I was a bit dismissive of solar. This is not to say it lacks usefulness, but for most people the tools used to store power are more convenient. 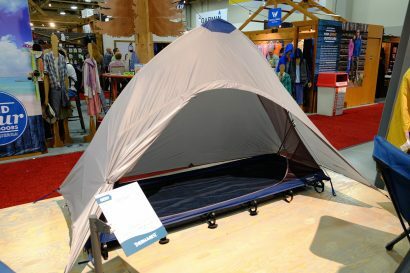 Solar can be slow, require constant alignment of panels, and they’re not always cheap or portable products—particularly the soft folding panels. With the advent of the lithium-ion battery, power storage has become a better solution for many travelers. 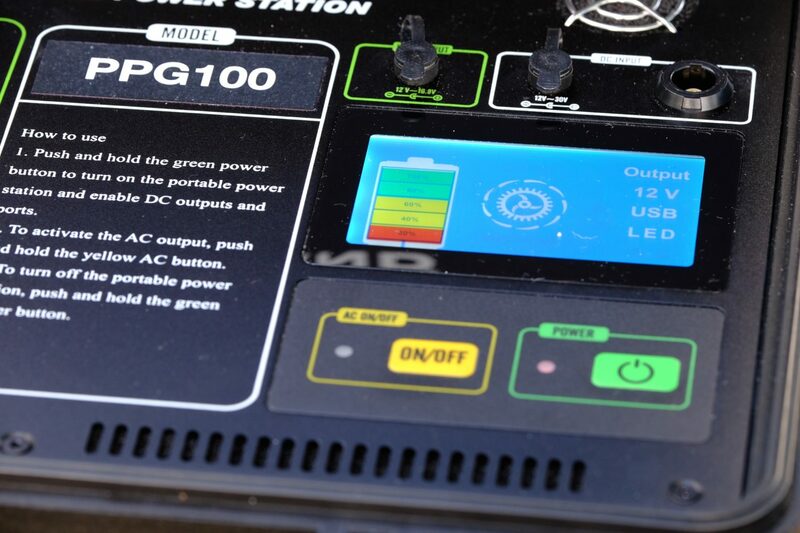 There are not a ton of options on the market for large-capacity power packs, at least not in the light and portable category as now serviced by Midland’s latest offering, the PPG100 Power Station. 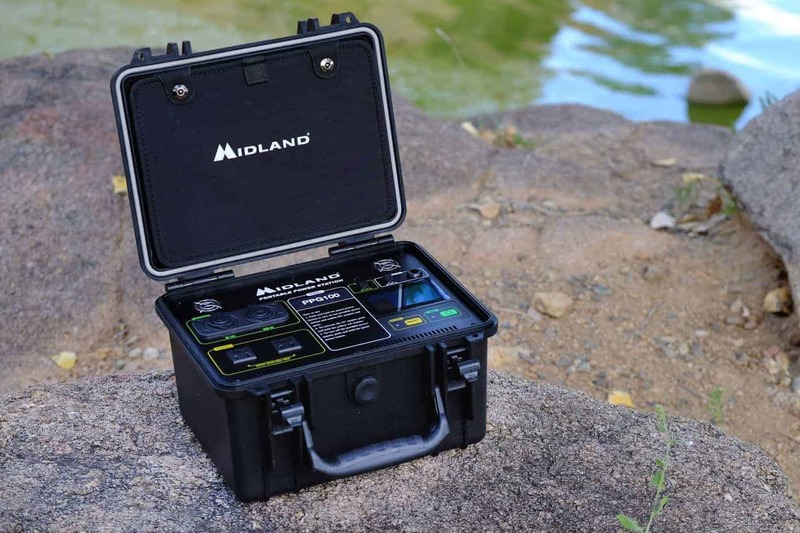 Capable of storing 950 watt-hours of lithium-ion power, Midland’s new system offers an impressive amount of juice in a small and easy to carry package. 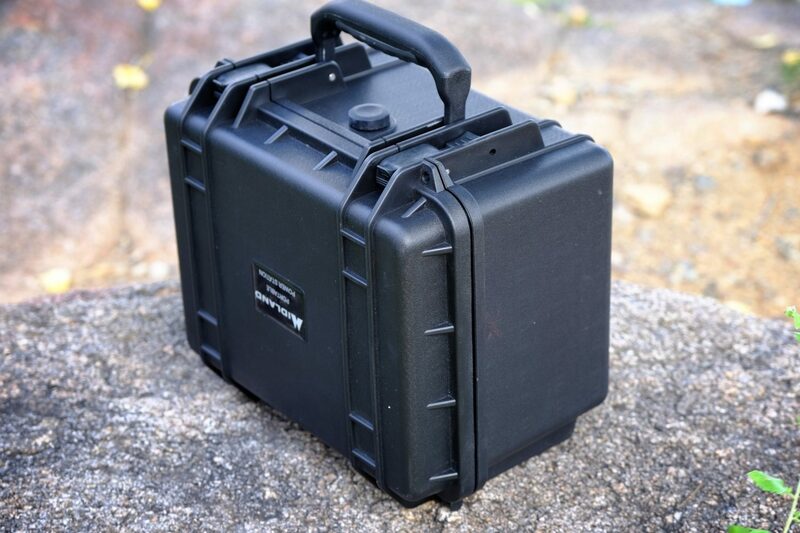 It’s also unique in that the entire system is tucked within a ruggedized and waterproof roto-molded hard case. 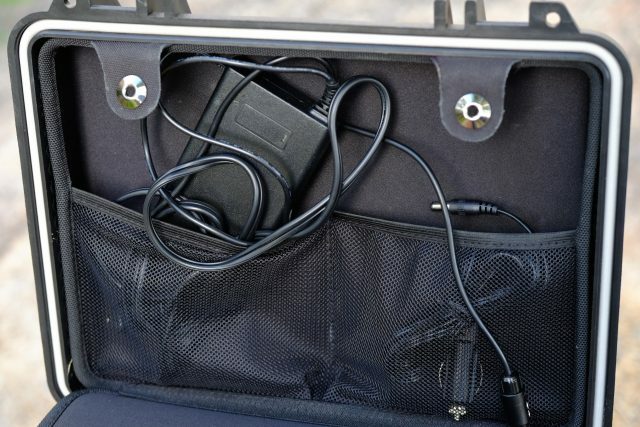 At only 25 pounds with dimensions slightly larger than a shoebox, the PPG100 is almost small enough to fit under a truck seat but thanks to the brawn of the case, it will survive just about anywhere you choose to stash it. Inside the unit is the main console with dual AC outlets, two USB ports, a 12v power socket, and brightly lit charge indicator. Inbound power is supplied by AC, 12v, or an optional solar input with all of the necessary cords stowed within a pocket in the lid. As stated in the instruction booklet and confirmed by my initial testing, charging the unit via 12v power is not practical as the time to do so is substantial. It makes for a convenient way to top off the lithium batteries, just not from full depletion. Likewise, when I charged the PPG100 from two 50-watt solar panels, that too took considerable time before I packed up and headed home, the unit never getting beyond 80 percent full charge. That’s as much a fault of the panels and the charging conditions as anything. 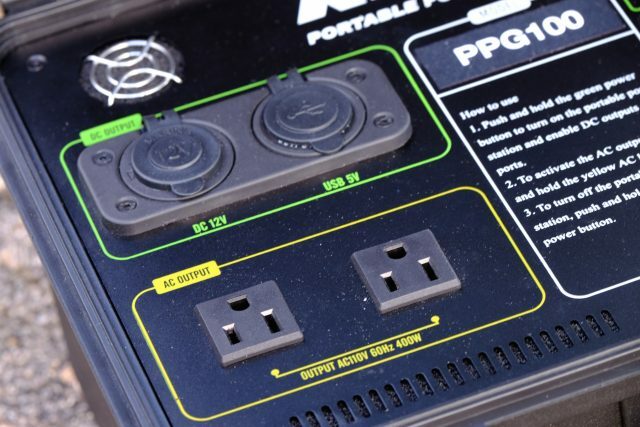 The self-contained PPG100 includes a built-in inverter and precisely controlled power output systems to carefully charge your delicate electronics without unwanted or potentially damaging power surges. Overall, the layout of the features is nicely sorted, easy to understand, and the entire system seems extremely well made. Although the PPG100 won’t be available until early 2018, I received a test unit a few months ago with several opportunities to put it to real-world use. It arrived on the day my house was getting pounded by a power-killing thunderstorm. 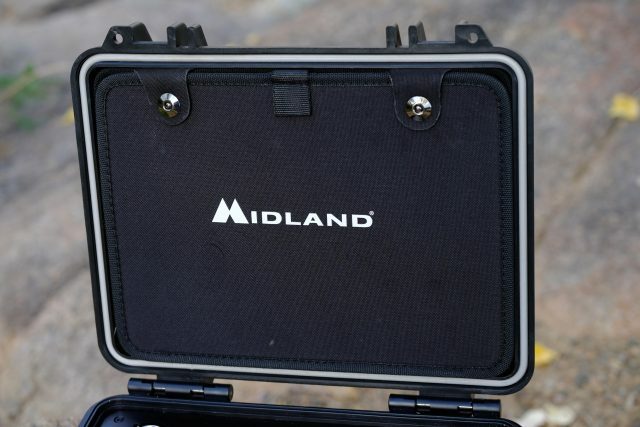 The Midland’s 950 watt-hours of electricity exceeded our immediate needs and kept a handful of devices and lights running for a few hours while things got sorted out. Charge time from an AC source was quicker than I expected with the unit hitting full charge from a low of 20 percent in just 6 hours. 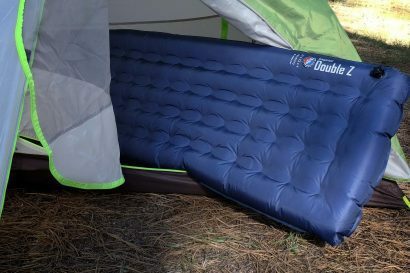 Other initial tests proved it could power a fully loaded 12v Dometic refrigerator (pre-cooled to 40ºF) for 38 hours in ambient temperatures not exceeding 80ºF. 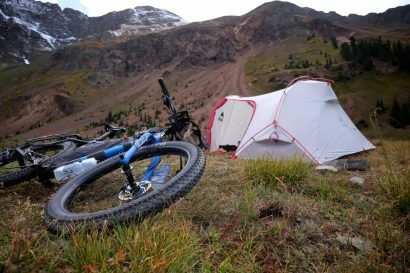 Power consumption for a wide range of travel applications is hard to gauge with much accuracy, but suffice it to say most overlanders will be well served with a 950-watt-hour power supply. That’s usually enough electricity to recharge phones a couple dozen times, keep a laptop running for a solid day, or power low-draw lights for a couple hundred hours.